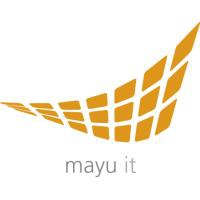 mayu IT Solutions is a young Spanish company founded by highly qualified and experienced professionals from Austria. It represents a team of enthusiastic experts who, in constant collaboration with our customers, create functional software, open new angles of view and find innovative solutions to tackle the ever-changing demands we face. Being part of mayu IT means to be dedicated to creative and open development of tailored, intelligent and reasonable software, working together with the customer in our, and above all for your, “flow”. The “Flow” runs through all areas of our business. It defines how we approach our projects. How we think. How we interact with you to fully understand your requests and concerns. We ask questions. Search for answers. Look forward to the future and develop new potential - together with you. Within the project teams in which we participate we concern about an efficient workflow as well. We strive to provide structured work and rely on the latest development methods. We consider ourselves experts participating in IT projects of all kinds. Our strength lies in our customized, integrated and flexible way of working. We cover short-term project peaks or integrate in your project team in the long term. We can also make a complete project team available if you want to outsource an entire project. Being a team of specialised professionals we offer a wide range of services woking in projects mainly in Austria and Germany.